DARE TO DREAM Brig Owens urges students to find their passion and follow their dreams. 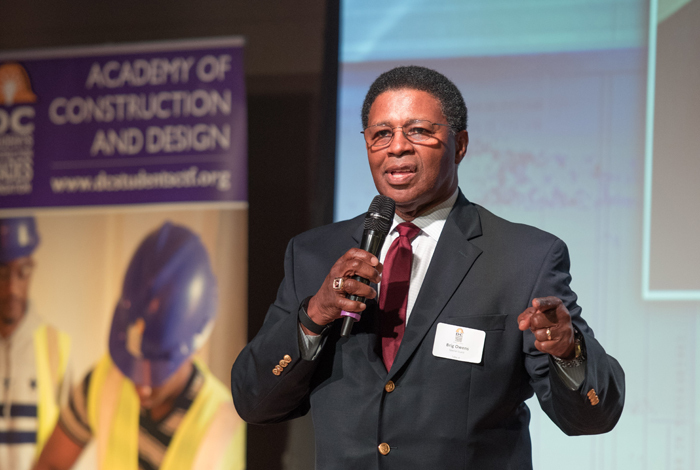 Owens praised the D.C. Students Construction Trades Foundation for helping to give students participating in the Academy of Construction & Design “lifetime tools” that can make them productive in society. “College isn’t for everyone,” he told the students, so if you find a skill that you have a passion for, follow your dreams. 1. Consistency is the true measure of success. 3. There’s no such thing as unrealistic goals. 4. Thee skills you’re learning in the Academy, you can’t take for granted.